The concept came to me as I was thinking about all of the new challenges that Cameron was now facing after BP’s mishap in the Gulf. 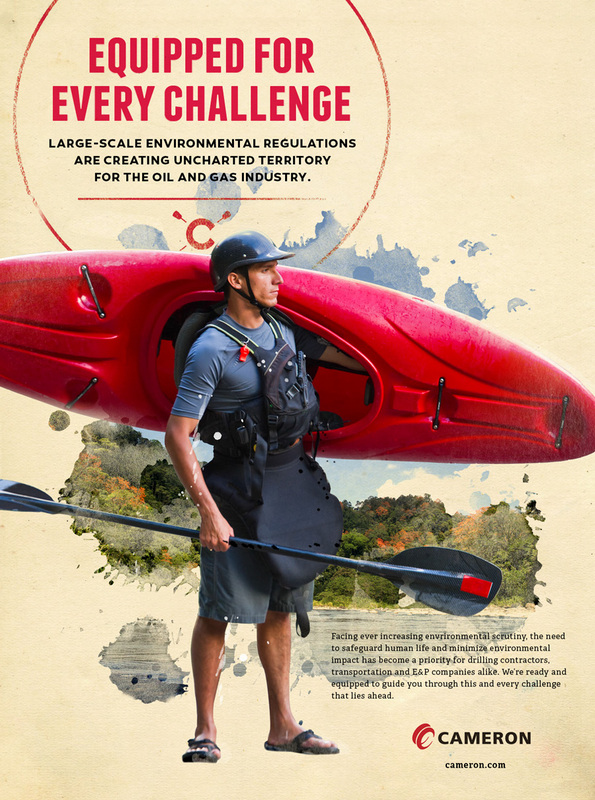 I saw all of the new regulations that were sweeping the Oil and Gas industry as a river through uncharted territory that needed an experienced guide. Cameron was eager to let the industry know they were equipped to handle any new challenge that came their way, as well as provide peace of mind to their stakeholders. 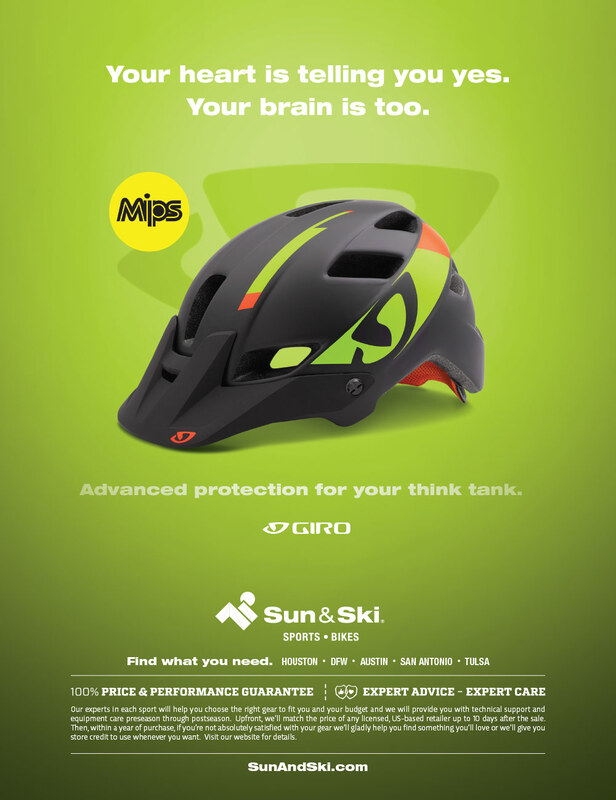 This ad series was for a bicycle consumer publication. The idea was to tee-up clever headlines with supporting copy subtly suggesting why you want it, all on a layout designed to make the product look like candy. 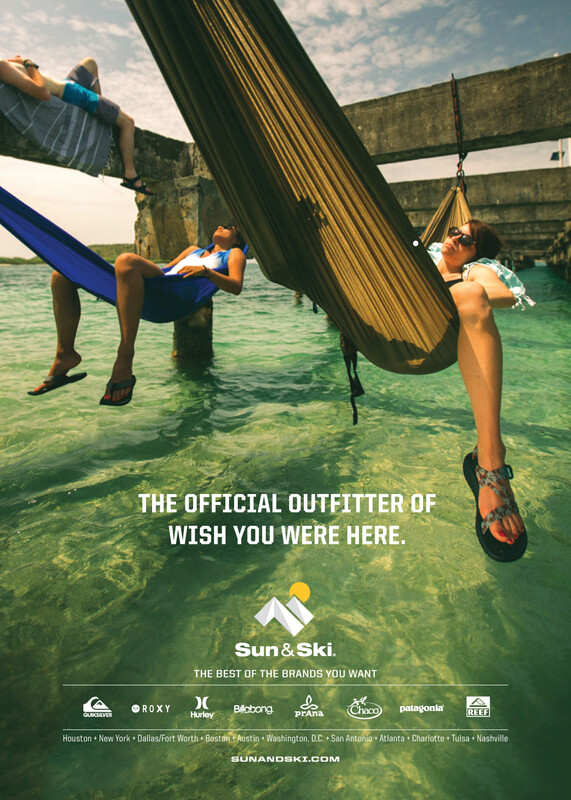 As I was looking at all the gorgeous vendor supplied photography for each brand, I realized Sun & Ski provided the gear that you use for all those exotic locations. All the gear I wanted in the places I wished I was. Conveying all this to our writer – we came up with “The official outfitter of wish you were here”. Because the nature of the retail chain is seasonal, the concept worked well all year long — images of snow skiing, waterboarding, mountain biking, running could all be married with the slogan. 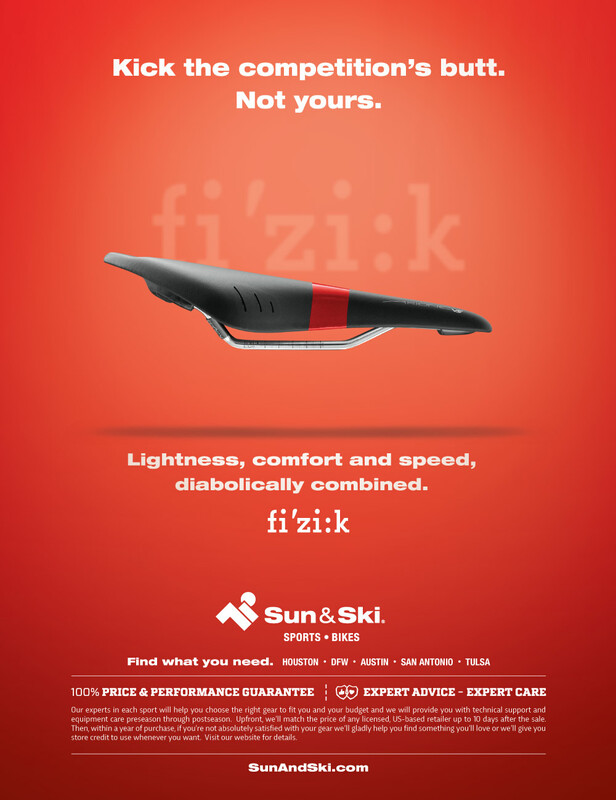 The line went on to become the trademarked slogan of Sun & Ski Sports. I wrote a treatment for this national spot along with others in the creative dept — with mine being chosen by the client. It was then modified to include some of my CDs ideas before it went to storyboarding. 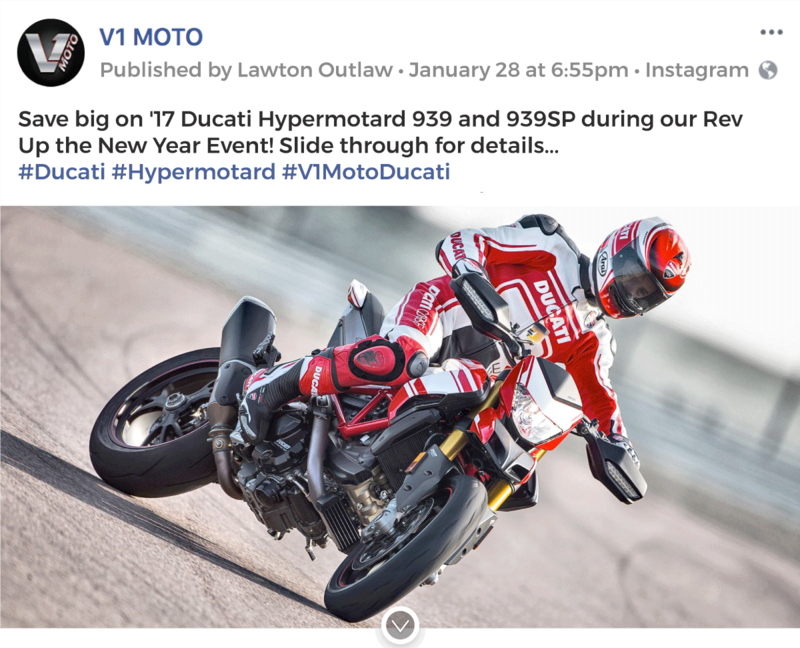 Facebook canvas ad for V1 MOTO, an authorized Ducati and Honda motorcycle dealership. 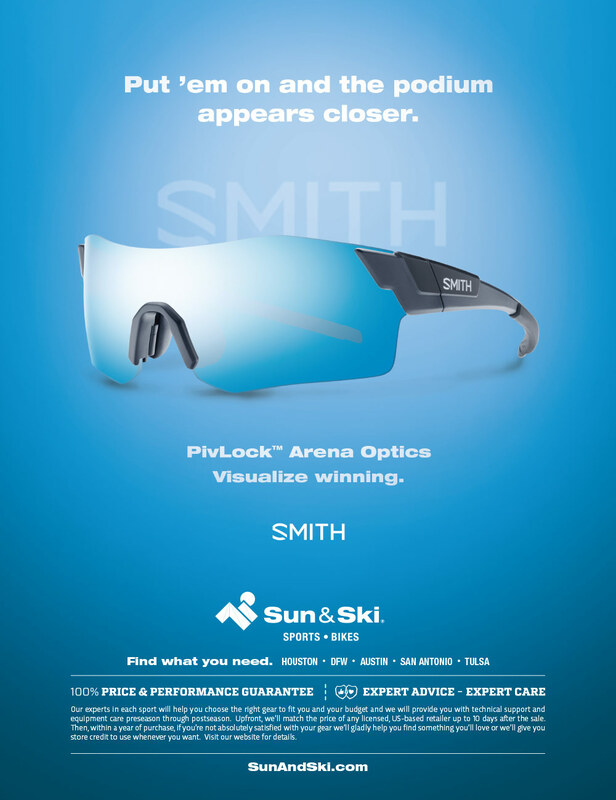 This ad was created to highlight a specific bike that the dealer had too much stock of as the new models were coming in.